HubSpot Messaging Library is Alerts for the 21st century. It show transactional messages in your app. You can easily wrap AJAX requests with progress, success and error messages. You can also add action links to your messages. It works in everything modern, and IE7 and above. It requires jQuery framework. 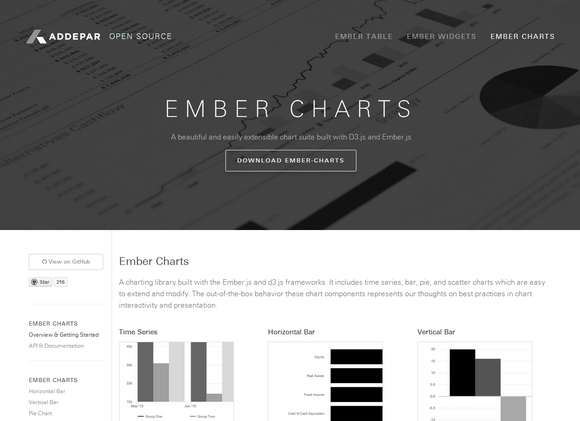 Ember Charts is a charting library built with the Ember.js and d3.js frameworks. It includes time series, bar, pie, and scatter charts which are easy to extend and modify. The out-of-the-box behavior these chart components represents their thoughts on best practices in chart interactivity and presentation. It is highly customizable and extensible. You can add legends, labels, tooltips, and mouseover effects. You can also roll your own charts by extending our ChartComponent class – get labels, automatic resizing, and reasonable defaults for margins, padding, etc. 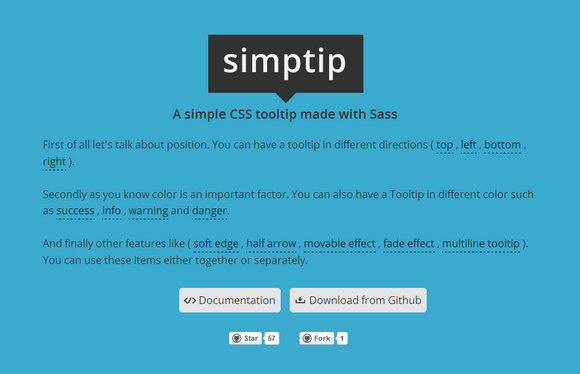 Simptip is a simple CSS tooltip made with Sass. You can have a tooltip in different directions (top, left, bottom, right). Secondly as you know color is an important factor. You can also have a Tooltip in different color such as success , info , warning and danger. And finally other features like (soft edge, half arrow, movable effect, fade effect, multiline tooltip). You can use these items either together or separately. 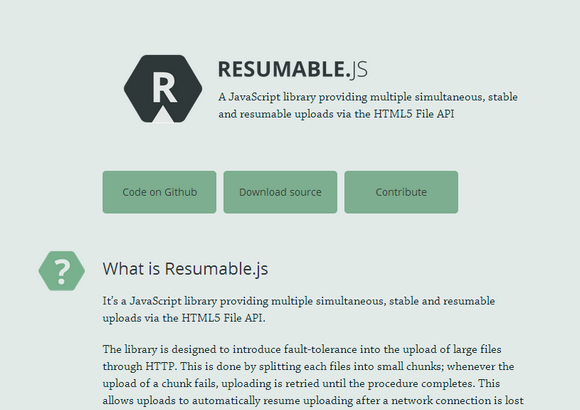 Resumable.js does not have any external dependencies other than the HTML5 File API. This is relied on for the ability to chunk files into smaller pieces. Currently, this means that support is limited to Firefox 4+, Chrome 11+ and Safari 6+. 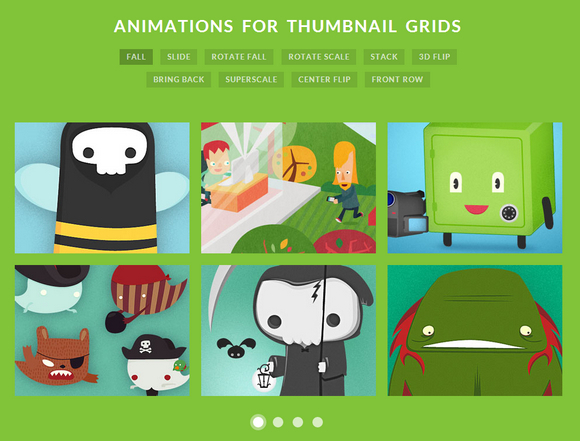 Today Codrops has shared some fancy Animations for Thumbnails in a Grid with us. There are many possibilities when it comes to these kind of effects, but not all of them fit well when applied to multiple items, like a grid of images. There is not much space and we have to consider the stacking order of the items for the effects to look nice. An interesting thing is that we can play with delays, intensifying the viewing pleasure of the whole thing. Not only can we apply the delays in order, but randomly or reversed. 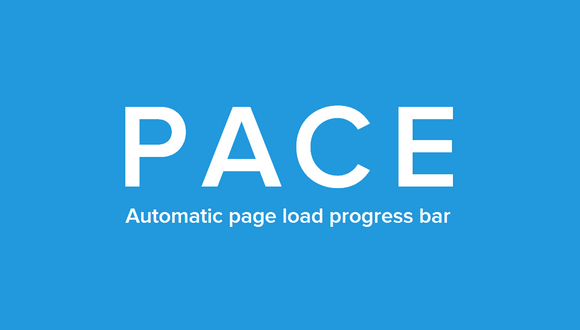 Progress bars have become quite popular lately, and there are lots of plugins that can help you add one to your site. But how do you make one yourself? The problem is that there are plenty of implementations already, so Tutorialzine has published a tutorial, teaching us how to code buttons that have built in progress meters. They will be perfect for displaying progress while submitting forms or loading content via AJAX. They will also use CSS3 styles and transitions to make them easy to customize. In this article, we’ll get rolling on developing plug-in free by creating bar graphs and similar graphics, using NASDAQ’s current web site as an example. But we won’t be creating merely a picture of a bar graph, but a real, interactive bar graph. 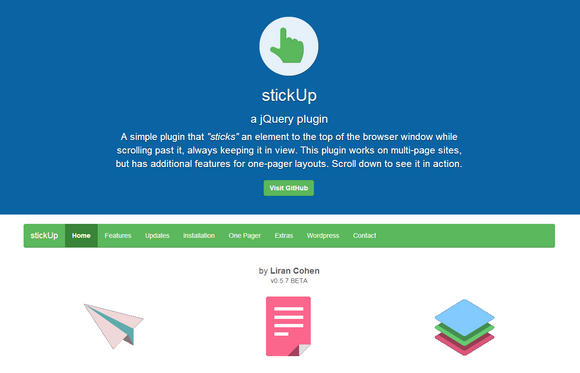 Let’s take a look at an existing site that uses Flash, then build one using HTML5. If you don’t have Flash installed, then the site just shows you a graphic image. So you’re not left out completely without Flash, but with HTML5, we can include everybody.